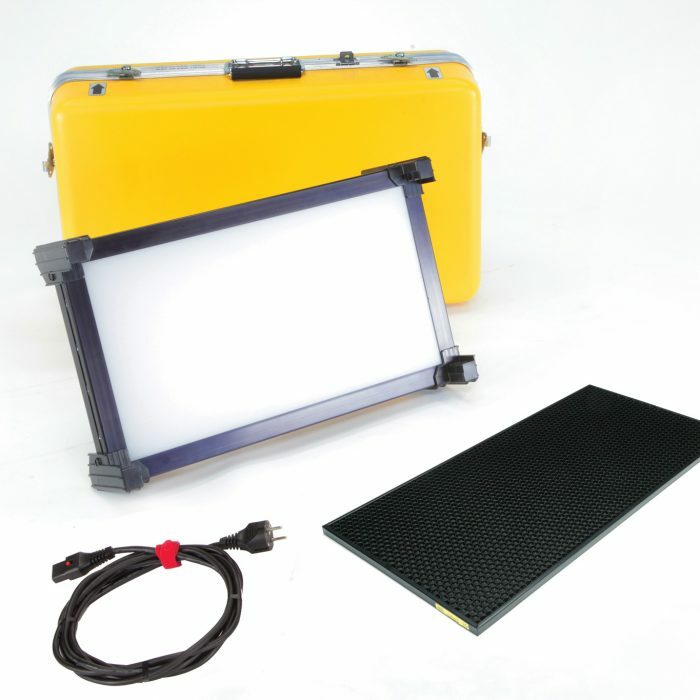 An LED light unit, using the very latest technology, with Fresnel lens, build-in ballast pack with DMX connections for remote control. A continuous light unit using ONE high power, single LED unit with daylight colour temperature approx. 5600K and a CRI > 90 – flicker-free! 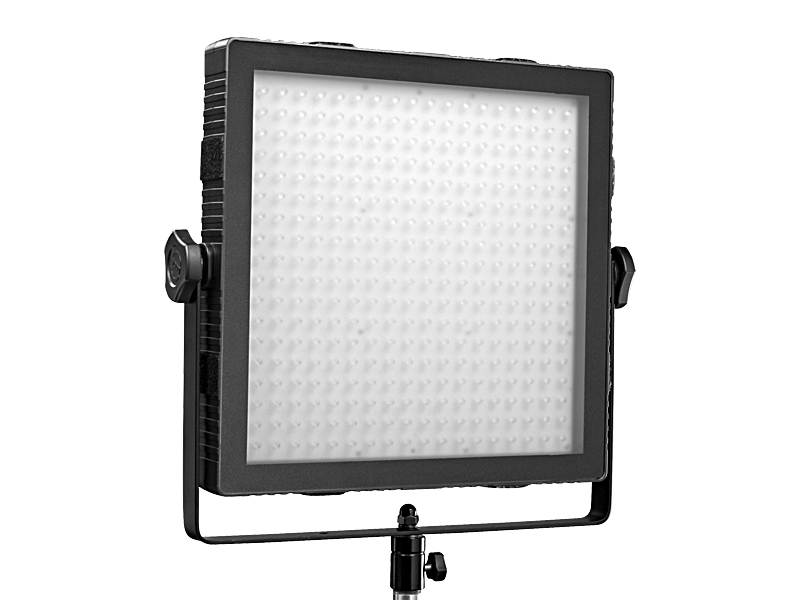 It has an extremely quiet fan cooling and special, active LED cooling; the LED has an average lifetime of approx. 50000 hours! 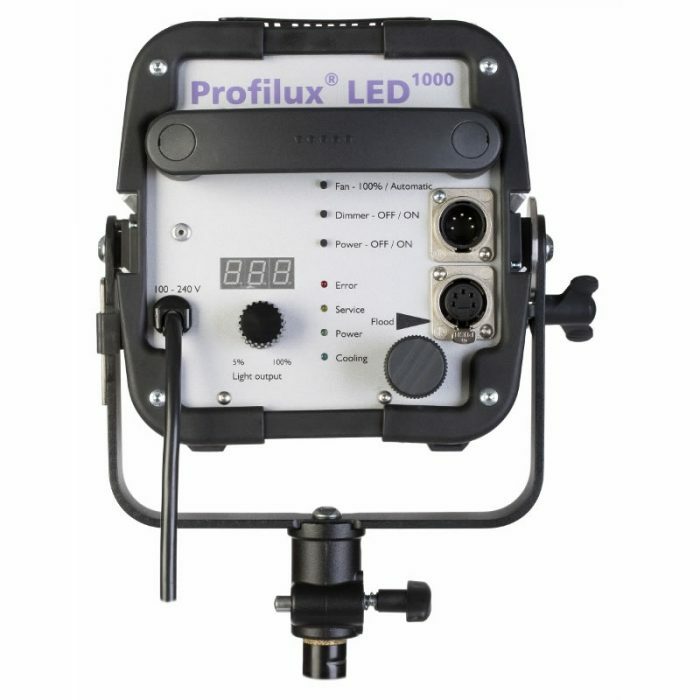 The Hedler Profilux LED 1000 Lamp is fitted with an fresnel lens and can be adjusted from spotlight to floodlight, simply by turning the focusing knob. 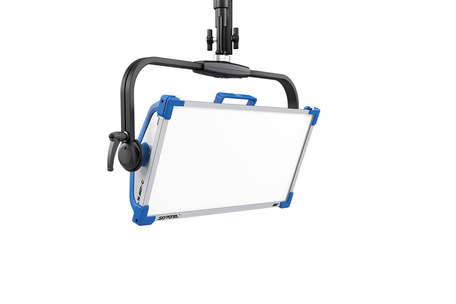 The unit can be used with all the existing Hedler reflectors and softboxes: full integration into an existing system! 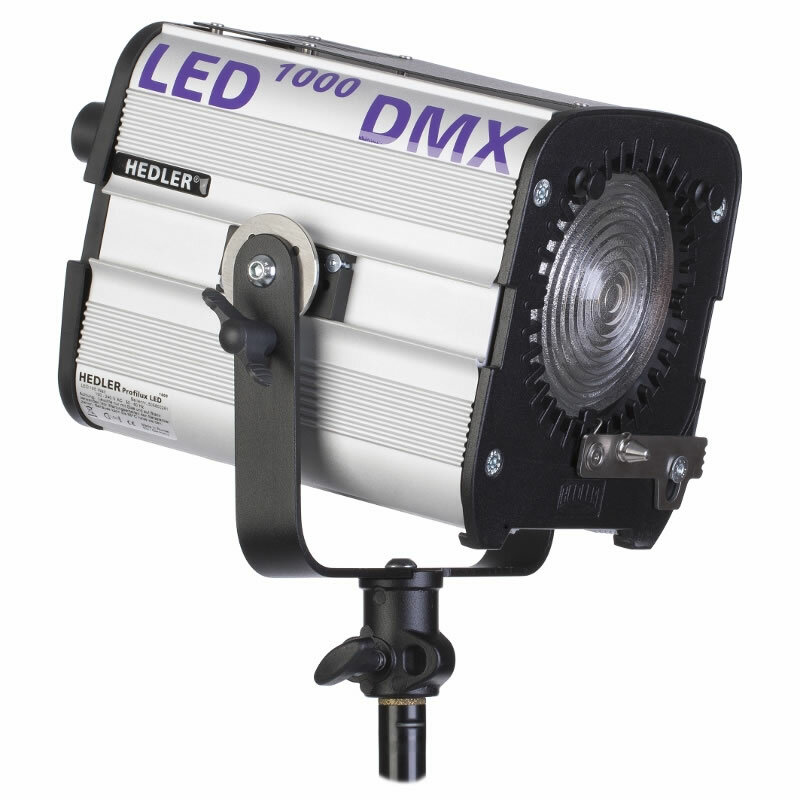 The Hedler Profilux LED 1000 Lamp produces a light beam that is very low in heat, a very important feature for sensitive materials and humans! The Hedler Profilux LED 1000 Lamp is compatible with a vast range of light shaping accessories used by other Hedler Daylight and Tungsten units: reflectors, honeycombes, softboxes, striplites, reflex umbrellas and many more. 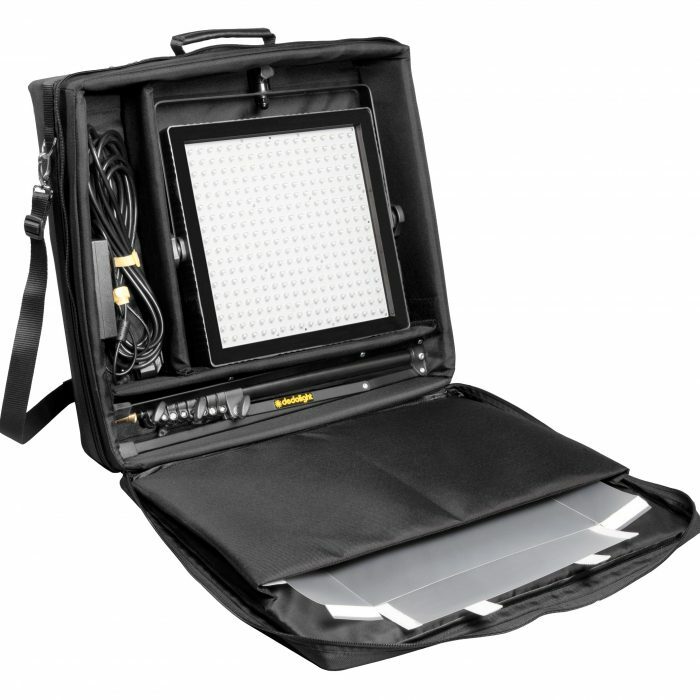 The perfect light source for Video, Film, Broadcast and stills imaging!